The demo is available on GitHub, so you’re welcome to check it right now. Now, let’s go to the app directory and make sure that it works. To open the page, call “browse” command in the console or open http://127.0.0.1:8080 in a browser. We should get the Hello World app to proceed to the next steps. Got it? Great! Let’s move on. - attributes("title") = "Scheduler Sample"
That’s how we’re creating a simple page layout for scheduler and adding required scripts and styles from scheduler codebase. We also need to initialize “/data” url as a datasource for the calendar. We’ll add the handlers to the server side later. 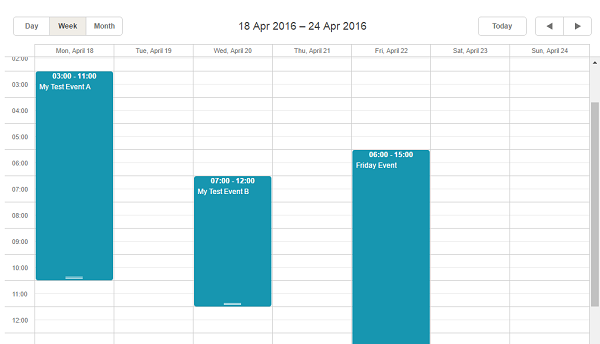 All the fundamental preparations are done, so we can move to the next step and load our scheduler app with data. "javax.servlet" % "javax.servlet-api" % "3.1.0" % "provided"
Here we have created connection to MongoDB, got the link to MongoDB collection and passed it to our controller (with the mongoColl variable). In the above code we’ve added the MongoCollection parameter for controller – SchedulerServlet(mongoColl: MongoCollection) and created the “/init” and “/data” handlers. The “/init” handler is made just to generate some test data for the collection. 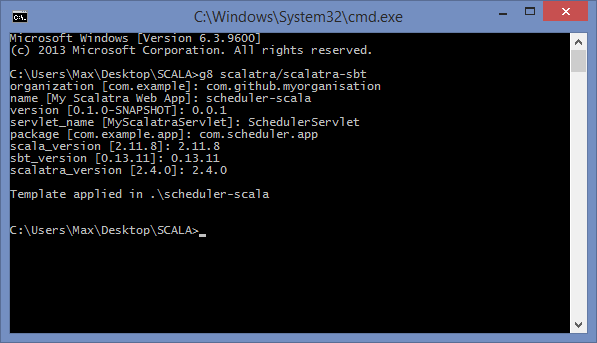 The “/data” handler is intended for loading data into scheduler. It gets all the records from database and sends them to the client side in the JSON format. It sends a request to the server to load data to the scheduler in JSON format. 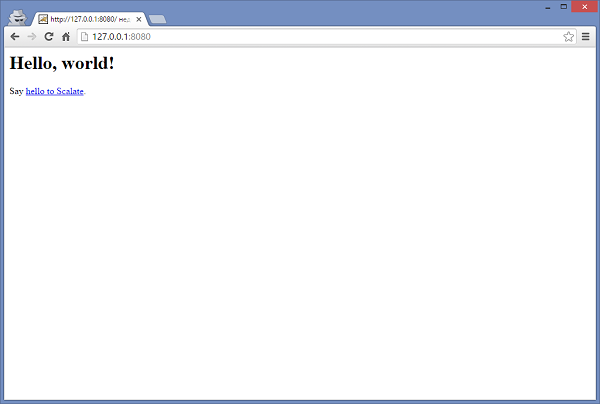 Now we can restart our server and open http://127.0.0.1:8080/init. 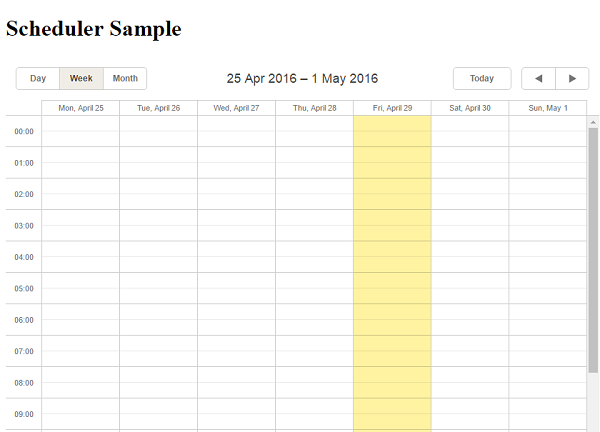 After this initial data for scheduler should be generated. Then we just need to open http://127.0.0.1:8080/ and scheduler with initial events will appear. 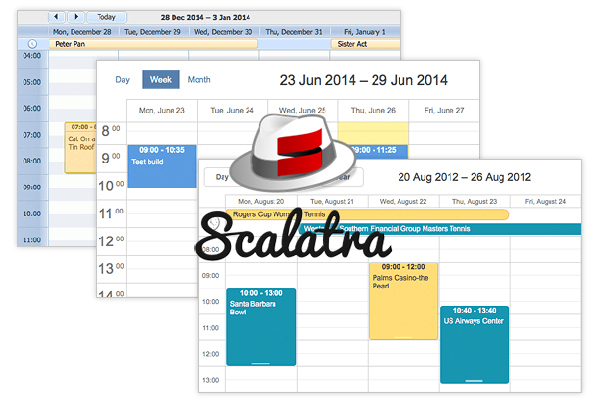 We have a scheduler with events, but it doesn’t possess any useful features yet. Let’s provide it with such necessary abilities as adding, deleting and editing data. 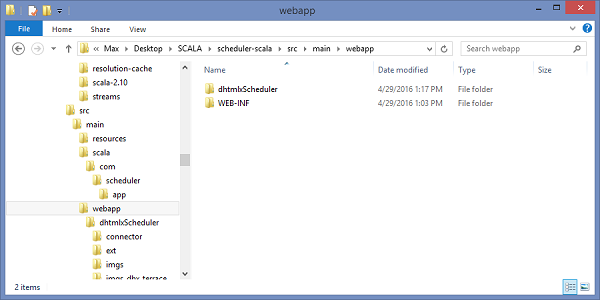 Open scheduler-scala\src\main\scala\com\scheduler\app\SchedulerServlet.scala and add the insert, update, and delete handlers. We will also add a function that will get responses. When we restart the server and open http://127.0.0.1:8080 in browser again, our calendar will be able to create, edit and delete events. What is more, now all the changes will be automatically saved in the database and won’t disappear after reloading the page.